Laurus is the definitive collection of writing and visual art created (and edited) by University of Nebraska–Lincoln undergraduates. The magazine accepts poetry, fiction, creative nonfiction, and scripts, as well as photography and other artwork. Funding for Laurus is generously provided by the Orin Stepanek Fund from the University of Nebraska Foundation. The annual issue is published in spring. 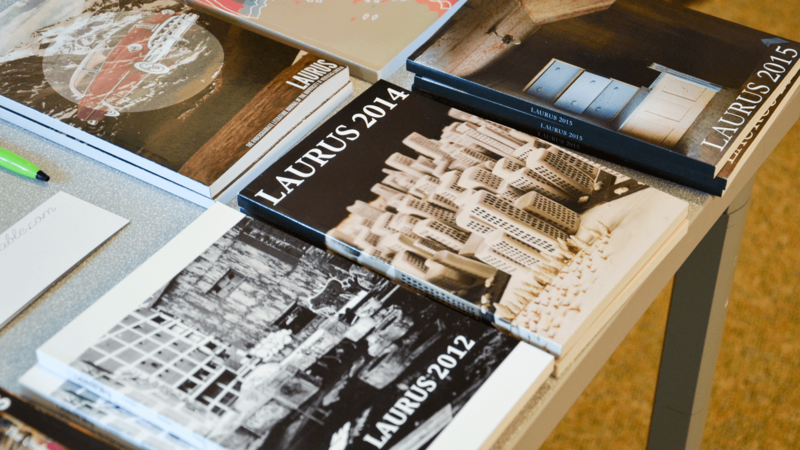 Laurus seeks new editors every year during fall semester. To apply, submit a cover letter detailing your interest in becoming a Laurus editor and your past experiences with editing or other literary matters,). Be aware that Laurus requires a significant commitment of time during the spring semester, so please also discuss your understanding of the time commitment in your letter. Also submit a brief resume that includes relevant experience and course work, along with a paragraph-length review of Madeleine L’engle’s poem “Instruments”, explaining your thoughts on whether or not the poem was effective. Submit your application and direct your questions to laurusadvising@unl.edu. Deadline for applications is October 31st. Laurus encourages undergraduate students to submit their visual art, fiction, poetry, and creative non-fiction for our Spring 2019 issue now through Wednesday, January 18, 2019. To submit your work, go to laurusmagazine.submittable.com, and follow the submission guidelines below. You must be currently enrolled as an undergraduate student at the University of Nebraska-Lincoln to have your work included in Laurus. No more than five submissions may be made per student per academic year. Submissions beyond the fifth will not be considered. The submission deadline will be January 18, 2019. Submit finished work only. Laurus editors will generally not provide feedback. All submissions of fiction, poetry, and creative non-fiction should be in a Microsoft Word (.doc or .docx) format. All written submissions must be 12 point font, Times New Roman, and double spaced. Exceptions can be made for creative purposes upon request. Fiction and creative non-fiction submissions must not exceed 4500 words. Visual art may be submitted as a JPEG, GIF, or PNG file. Be sure that you upload the largest file size available of your visual art piece. Please include an author or artist bio to feature in the magazine if your work is selected. If there is a technical problem with the submission website, submissions may be sent to laurusmagazine@gmail.com. By submitting to Laurus you are granting permission to publish your work in the annual Laurus print magazine. Upon publication all rights revert back to the author; this means that, once the issue has been produced, you are free to submit your work for publication elsewhere. (Keep in mind, however, that many publications will require first publication rights, which may mean work published in Laurus is ineligible.) If a piece that has been submitted to Laurus is accepted for publication elsewhere, please notify us immediately so that we can remove it from our submission pool. As all submissions are read blind, no cover letter is necessary with your submission. In lieu of a cover letter, please write a brief statement acknowledging that you accept these terms of submission. Congratulations to the 2017-18 Laurus Award winners! Note: These poetry and prose awards were selected by committees of graduate students and instructors. To purchase a copy, email Michael Page at mpage3@unl.edu. To contact the editors about questions or queries, email laurusmagazine@gmail.com. 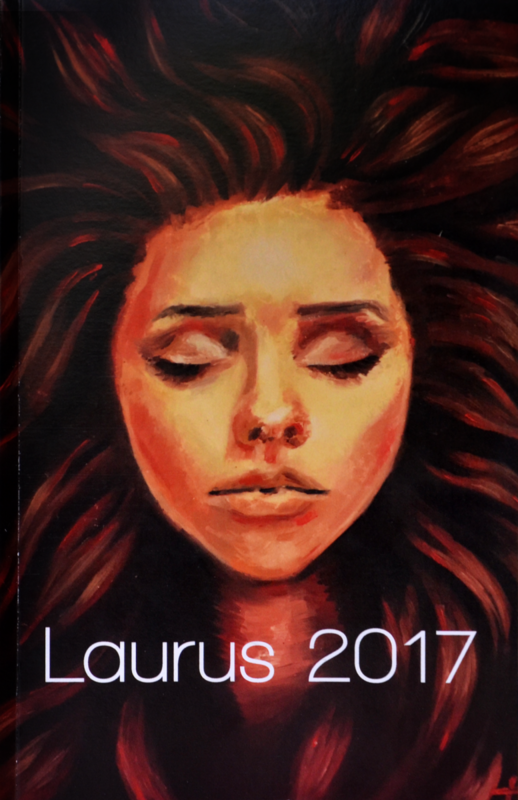 Laurus is the undergraduate literary journal of the University of Nebraska-Lincoln, supported by the English Department and the University of Nebraska Foundation. Laurus is a registered student organization at UNL. Laurus publishes fiction, poetry, non-fiction and visual artwork created exclusively by UNL undergraduates. The annual issue is published in the spring. Laurus was founded in 1983. The 2019 publication will be the 25th edition. Over the years, Laurus has published early work by such notable writers as Timothy Schaffert (1990), Amil Quayle (1987, 1989), Amy Knox Brown (1987, 1989), James Cihlar (1989), Erin Flanagan (1994), Rainbow Rowell (1996), and Danielle Luther-Luebbe (2005). Schaffert was also an editor in 1991, as was Pulitizer Prize finalist Lee Martin in 1992. Faculty advisors over the years have included James Roberts, Marcia Southwick, Judith Slater, Anthony Hawley, John Chavez, John Schulze, Michael Page, Rachel Cochran, and Scott Guild. Professor Emeritus of Poetry Greg Kuzma had the longest tenure as faculty advisor, through much of the 1990s and 2000s. Greg writes, “My work with Laurus was the most important service work I did for UNL. During the years I was advisor Laurus became entirely an undergraduate literary and fine arts magazine, printing only undergrads and edited by undergrads. I had no hand in the choices selected to publish, although I did do a lot of the proofreading. We worked hard to print full color covers, gained funding from the Art Department to support cover art and inside art, and reached out across campus to try to become a campus wide magazine. We published literary criticism, stories and poems, plays, panel discussions, essays on science and sociology, book and film reviews. For many years Laurus was the most exciting thing I did at UNL.” Through Greg’s efforts, Laurus has become an important institution within the UNL English Department. If you would like to purchase previous issues of Laurus, copies are available at the English Department office and at the University Bookstore and other area bookstores. To order past issues, e-mail Michael Page at mpage3@unl.edu.